“You are a valuable, lovable, deserving being. 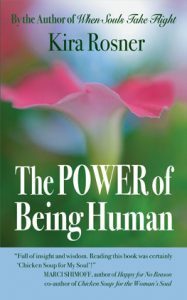 The Power of Being Human brings home two important points: Human beings are innately powerful, and our lives are a reflection of how we direct that power. 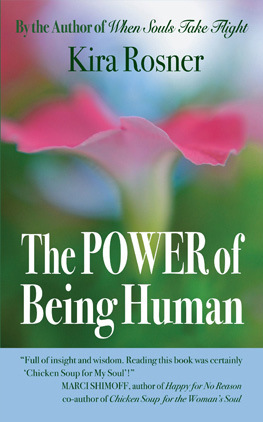 With light banter and easy-to-understand prose, this friendly guide to self-empowerment sweetens the idea that many of us repress our power instead of expressing it. What’s the remedy? A healing technique that integrates three of the most potent forces in the universe. “During our formative years, which fall somewhere between inception and a hundred years of age, life touches us in many ways. Those touches leave impressions, similar to a handprint leaving an impression in soft clay. A belief is a learned, repetitive thinking pattern seeded by experiences which impressed us strongly. We are guided by our beliefs. In essence, we parent ourselves by taking impressions from the past and projecting them into the present. When those impressions uphold our self-esteem, it is a reliable system. When they have us believing we are anything less than the fully deserving beings we are, we may find ourselves making choices that jeopardize our chance at happiness. Why? Because we are inclined to fulfill our own prophesies. Hence, our lives begin doing a pretty good imitation of what we believe about ourselves. Let’s visit Unloved in her new apartment and see this theory in action. Unloved is unpacking with her front door ajar when her neighbor stops by and says, “Hi, welcome to the building.” Unloved replies with a cursory nod, then goes back to unpacking, suspecting the neighbor of having ulterior motives. Wouldn’t Unloved like to make a new friend? Sure she would. And doesn’t she yearn for human companionship? Sure she does. Then, why reject a chance to get acquainted with her new neighbor? The past has shown Unloved that opening herself to others paves the way for disappointment. She refutes the neighbor’s welcome the same way ancient warriors held up shields to repel arrows. Hold on a minute! The neighbor is not shooting any arrows! All she’s doing is making a cordial gesture. So, what is Unloved trying to protect herself from? Unloved’s response has more to do with her internal dialogue than it does with the actual neighbor. A dialogue informing her that the world is an unsafe place, a belief she inevitably projects into every relationship she has.